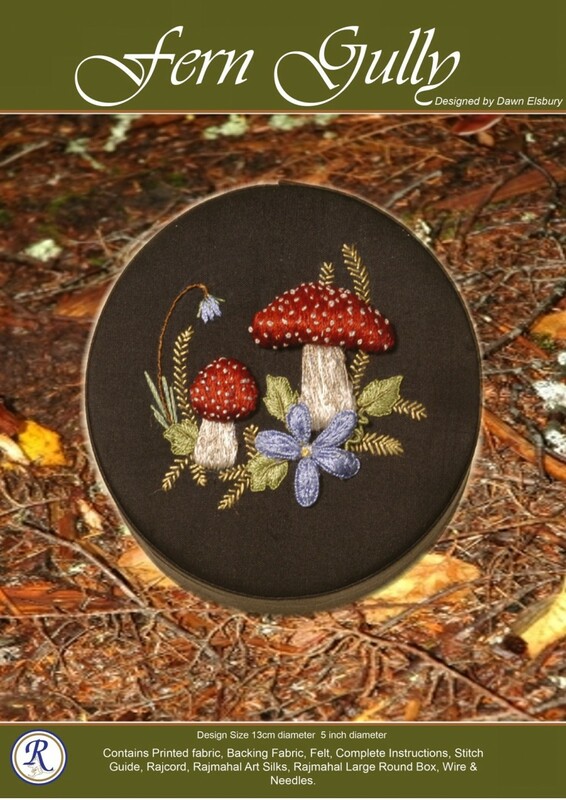 This is a very popular kit, and makes a delightful gift. Fern Gully Designed and Stitched by Dawn Elsbury for Rajmahal. Designed to fit large oval box. 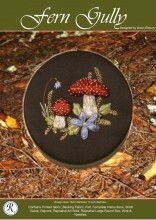 2.5x4x2.5"
Kit contains Black Fabric, Backing Fabric,Stumpwork Fabric, Felt, Rajmahal Art Silks, Wire, & Needles. Click the button below to add the Fern Gully Kit to your wish list.